I understand that they may have been everything you needed. I’ve been there. I was also blinded by their magnetism and their passion for life. I absolutely loved the 3 am deep talks with them. I loved how they knew all the right things and words to do or say to make me happy instantly. And I know that they might seem like a dream come true, but please be careful to not fall for someone who doesn’t feel the same about you. Don’t fall for someone who has mixed feelings about you and can’t make their mind about you. They seem to care about you. I mean, they told you so, didn’t they? They told you many times that what you two have is special. That they would rather be with you than with anyone else. However, they still can’t decide whether you two should be in a relationship just yet. They still want to wait a little more. They still have their reasons as to why you should wait – perhaps the timing is wrong, maybe they are not ready yet or they don’t want to ruin that beautiful connection that you share… the reasons are countless. They give you a million reasons why they can’t be together with you now even though they swear they have feelings for you which are a valid reason for bringing your relationship to the next level – that after all feels like the most natural thing to do. So, you hold on because you don’t want to pressure them. You give them time. A time of your life that you can never have back. When in reality, you deserve so much more than their perplexed thoughts. You are worth more than being with someone who has mixed feelings for you. Because it is one thing to give someone time to decide – we all need that. We all need to take a moment and think about whether something is worth giving it a try, especially if it is connected with our future. But, it is another thing to allow someone to keep you on the backburner and keep you stuck in a ‘make-believe’ reality. You should never let anyone imprison you like that. You deserve to be with someone is sure that they want to be with you. No mixed feelings. No second-guessing. You should be with someone who instead of seeing you as a burden, understands your worth and the value you add to their life. Someone who doesn’t see you as yet another commitment to run from, but they run towards you whenever they have a free time because you make them happy. 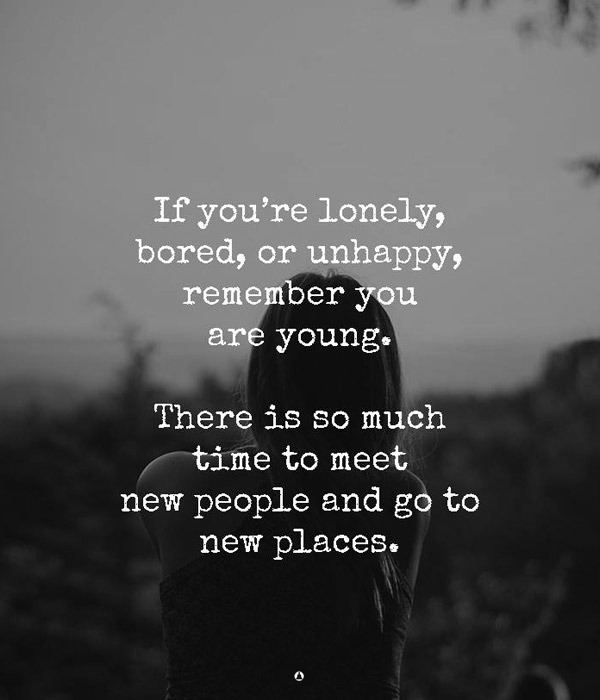 Oftentimes people do need some time alone to figure things out, and if you want to wait for them it’s okay. But, please don’t wait on someone who continues to reel you in only to push you away in the name of protecting themselves. You must protect yourself as well. Finally, instead of holding onto someone who is not sure of you, release yourself from them and be open to receive love from someone who will appreciate you for the way you are. Someone who will proudly show you off to everyone. Someone who doesn’t second-guess themselves when it comes to committing to you. Because you deserve it. You deserve a true love with the right person. And the one who is stringing you along is not the one for you.